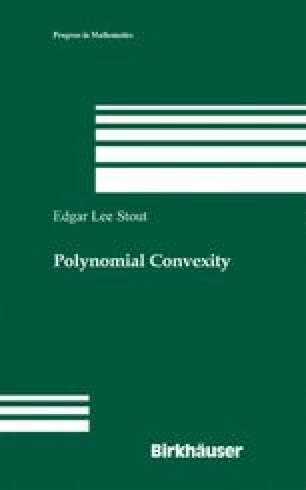 This chapter treats some further results in the theory of polynomial convexity, which are rather loosely related but draw substantially on the work of the preceding chapters. Section 5.1 discusses isoperimetric questions in the context of polynomial convexity. Section 5.2 considers some questions in the theory of removable singularities for holomorphic functions and their boundary values. Section 5.3 treats certain convexity problems for two-dimensional surfaces in three-dimensional strictly pseudoconvex boundaries.